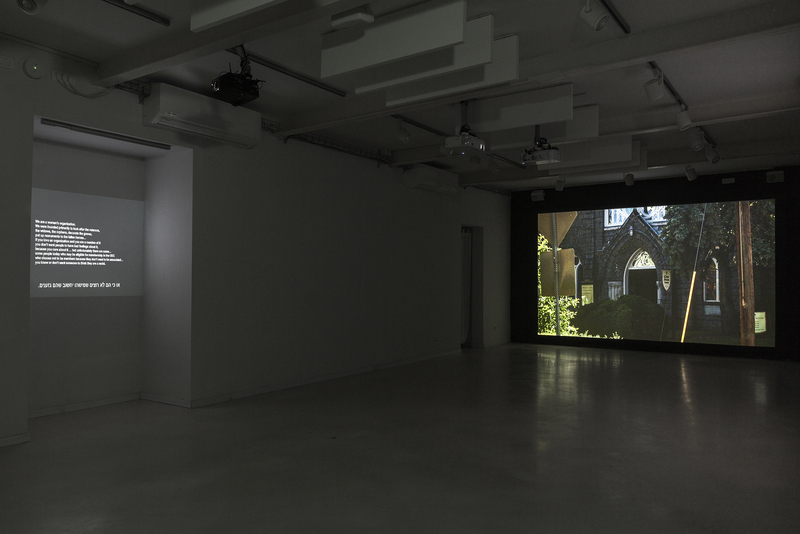 Efrat Vital's show, Winnie (Real Daughter) at the Herzliya Artists' Residence (curated by Ran Kasmi-Ilan), comprises two video installations, shot around Georgia and Virginia, USA, in the years 2012-2013. Vital has documented monuments erected by the United Daughters of the Confederacy, an organization dedicated to the preservation of the heritage and memory of the Confederate soldiers in the American Civil War. In addition to the monuments, she presents video documentation of life in the streets nearby, as well as recorded conversations with several members of the organization. The show contains many moments of irony and points to the problematic reality of denial and suppression of the history of racism, slavery, and Colonialism that has been at the core of the Civil War. Vital shot the works in the years 2012-2013, and since then arguments over the monuments have gone up a notch. In 2017, it was decided that the equestrian statue of Robert E. Lee, the Confederacy's heroic general, is to be taken down. It stood in a park named after him. The City Council has also decided to change the park's name, to Emancipation Park. These decisions led to a series of turbulent demonstrations, culminating in the events of August of 2017, when right-wing demonstrators – “alt-right” groups, neo-Nazis and white supremacy groups, as well as speakers identified with the Ku Klux Klan – waved garden torches and confederacy flags while chanting phrases like "Jews will not replace us." There was a counter-demonstration, too, confrontations between the groups developed, and at some point a young man named James Alex Fields Jr. drove his car toward the counter-demonstrators, killing a woman and wounding 19 other people. 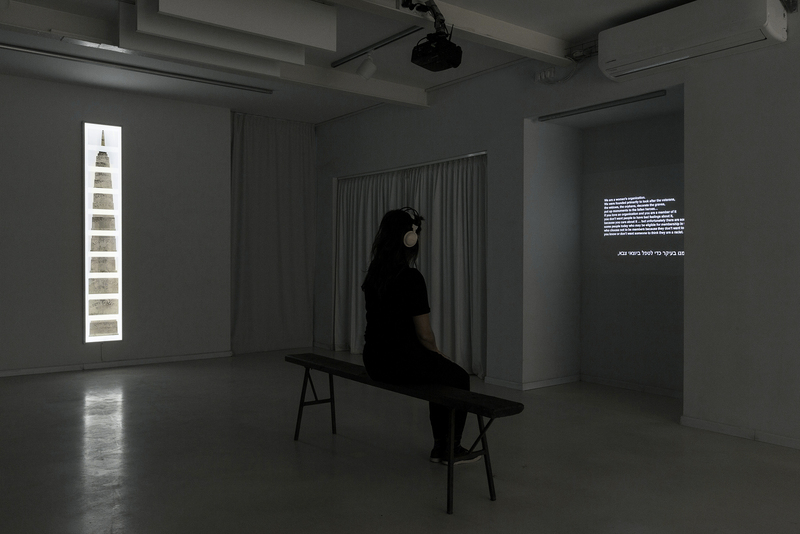 We Are a Women's Organization (2013-2014) is an installation consisting of three video channels and a framed photograph. 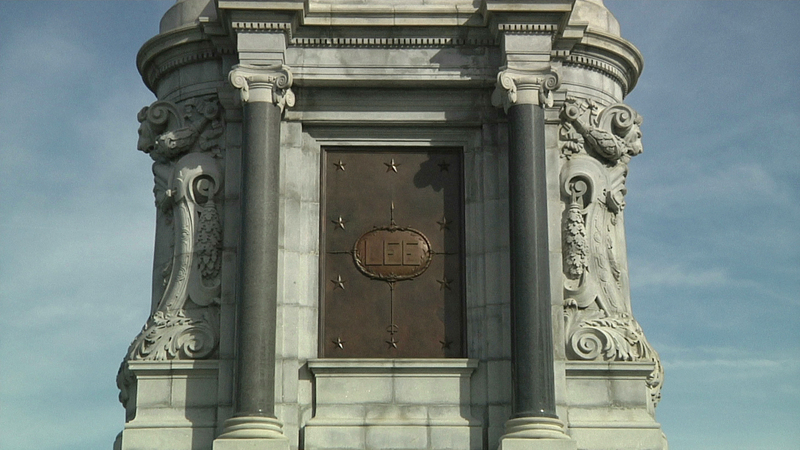 One of these video channels, titled Monuments, is projected to the left of the entrance. It shows monuments, signs, buildings, and images of urban scenes in various Virginia towns, mostly in Charlottesville. Several words keep appearing on the monuments: "confederacy," "church," "daughter." The images flow with varying rhythms: At times, the camera focuses on details for a long time, and then we see quickly changing images of environments, as we might when visiting a new place and getting to know it. 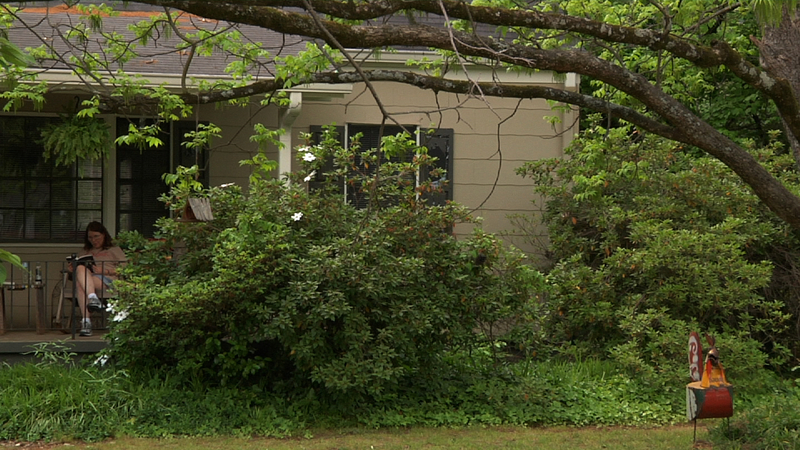 The first impression created by the moving images is of a quiet suburb, a safe community. 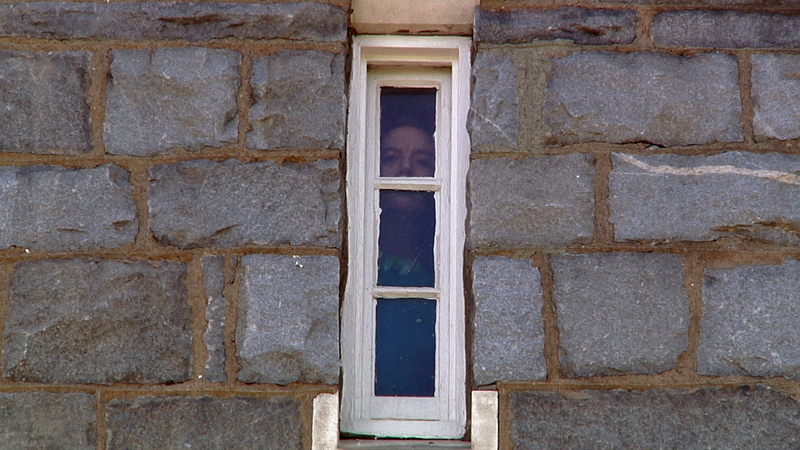 The video contains hidden visual clues that seem to warn the visitor/viewer, or allude to non-specific threat that lurks under the surface: a STOP sign stands out in a frame that shows an open road; a photograph lingers on a black, opaque window of a bus; a woman peers suspiciously at the camera through a long, narrow window; photographs of white walls and closed windows; a woman shuts the doors of a church. In the background, church bells in a sound-work play a tune customarily played in military and civilian funerals, over and over again. 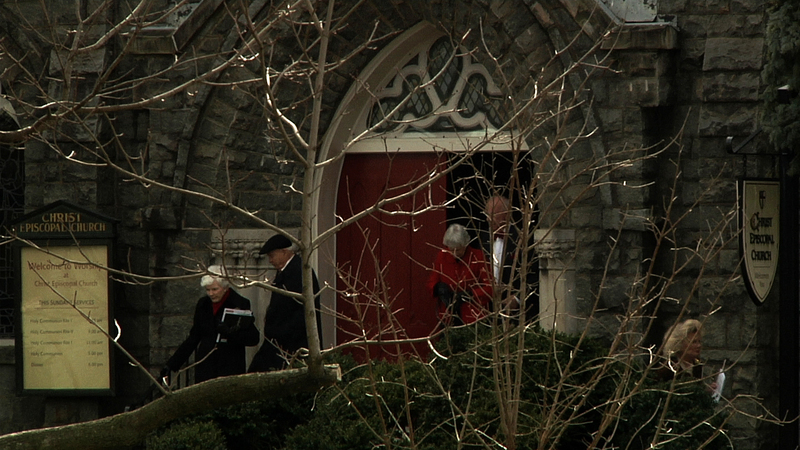 At other moments, the bells ring an invitation for people to come to church. In the exhibition space, the ringing seems to call the viewers to wake up rather than to prayer. 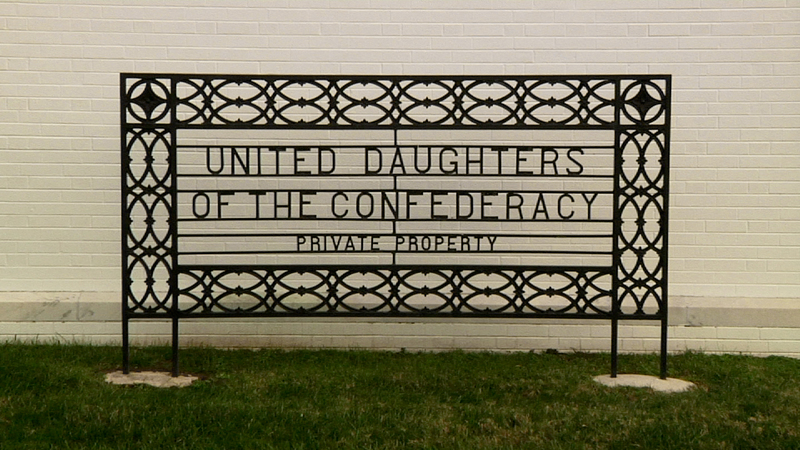 In another video, lines of text run across the screen – a transcription of a conversation among a few Daughters of the Confederacy members (which viewers can listen to on an attached headset) as they talk about their concerns regarding the removal of the monuments, erected to preserve the memory of Confederate soldiers. The Daughters of the Confederacy talk about young people today who do not wish to be identified with the logic of the Confederacy's independence, because of its association with ideas of white supremacy. They are well aware that there might be racists among Confederacy supporters, but their talk creates an uncomfortable sense of denial or suppression of the problematic past, the attempts to whitewash the linkage of history and the monuments to racism, and evasion of the fact that the Civil War was also about the resistance of the South to the abolition of slavery. For instance, one of them says, "Quite frankly I am sure that we do have some racists and bigots in UDC I am sure they exist." 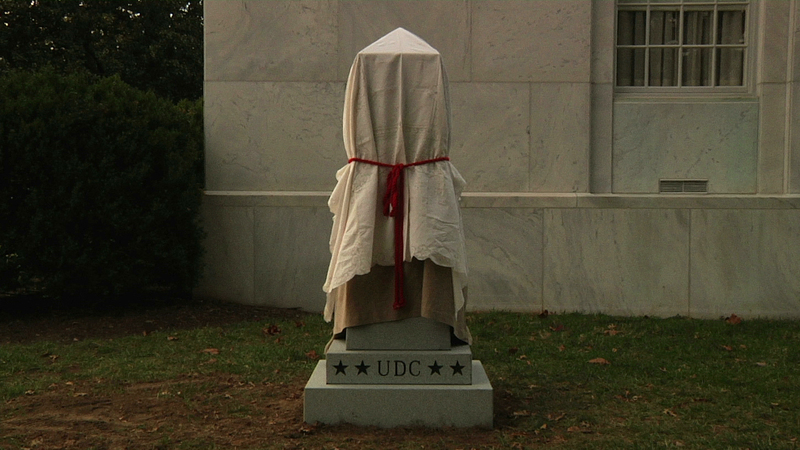 Ironically, one of the monuments in the video pulls the suppressed back onto the surface. It is covered in a white cloth and tied with a red ribbon at the center, probably in preparation for its initial presentation to the public. The pyramid-shaped top of the sculpture is discernible under the covering. This shape, the white cloth, and the red ribbon together closely resemble one variation of the Ku-Klux-Klan' costume - which includes tying a red ribbon around the waist - and bring back to the front everything that is absent from the women's words. 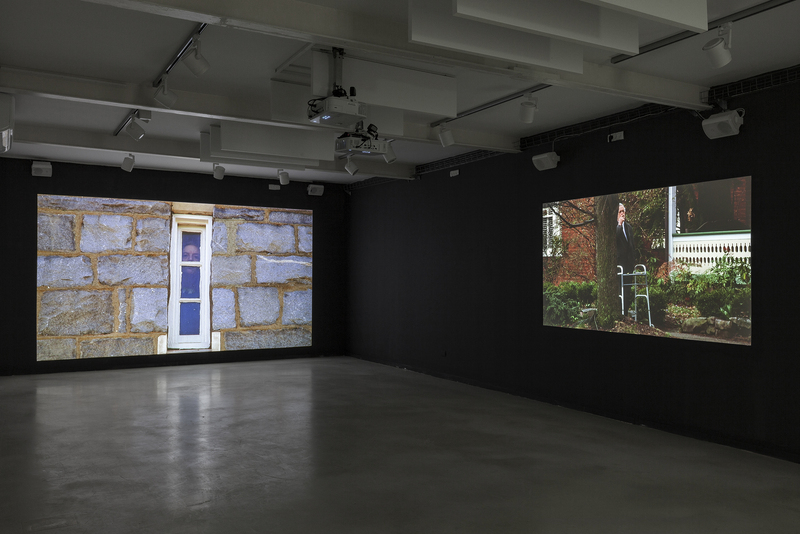 Opposite the monuments’ video hangs an elongated framed photograph, showing a monument that has been taken apart digitally. 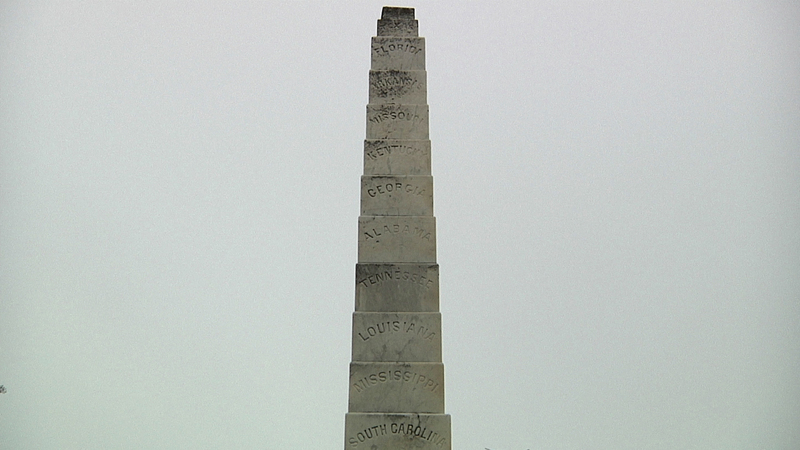 In the video we see it whole – a phallic monument, built of stones laid one on top of the other, each stone bearing the name of A confederate state. In the photograph, it has been broken down to its components, its heavy weight dissolved, and it appears to float. 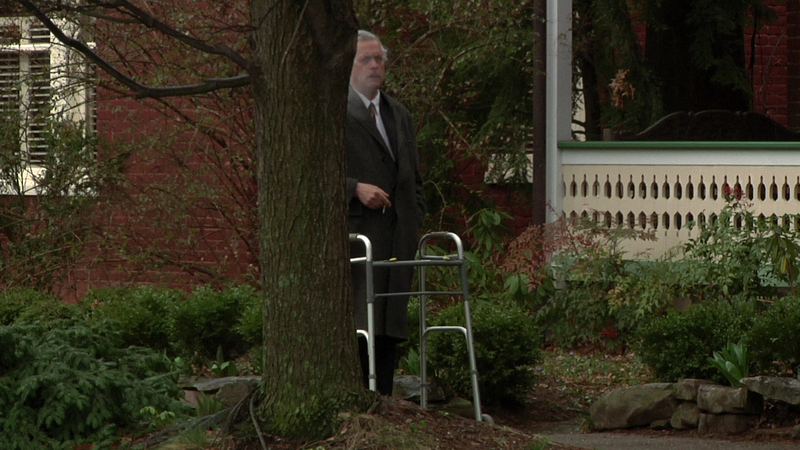 The third video channel shows the work Smoking, in which an old man in a three-piece suit and a walker stands on a quiet street, smoking. We see him in several scenes, from different points of view. The artist focuses on him from a distance, at a narrow angle, as if the camera is hiding behind a tree, or, conversely – as if he is hiding from the camera, even though at times he stares at it directly. His puffs are conspicuous, almost theatrical. Television viewers from the 1990s may recall the "Cigarette Smoking Man" from the X-Files. This character, played by William B. Davis, started out as a minor figure and over time became the primary anti-hero of the plot, in which two FBI agents, Mulder and Scully, investigate paranormal mysteries throughout the United States. In the series, the Cigarette Smoking Man also wears a three-piece suit. He stands in the distance, in a concealed spot or in the shadows, often shot from a narrow angle as he quietly observes the scene, always smoking; he is a marker of the existence of hidden, hostile elements in the heart of the American establishment, conspiring to create violent incidents against the American people. The curator Ran Kasmi-Ilan wrote the text for the exhibition. He describes the man in the video as a contemporary image of General Robert E. Lee, an archetype of the Southern white man. As in the X-Files, the smoking man in Vital's video adds a dimension of suspense and suspicion. But here his face is visible, and his walker marks him as a powerless, castrated figure. However, when the smoking is done, he picks the walker up and carries it away effortlessly - the fact that heightens the suspicion that indeed an element of threat exists – another aspect that highlights the irony in the show. 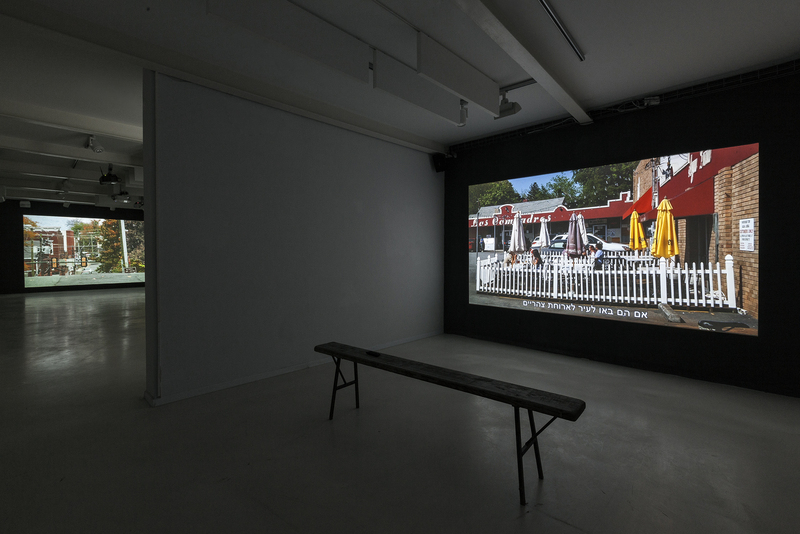 The work Normal Town (2012) is shown in the other room of the gallery – a video work documenting a suburb by that name in Athens, Georgia. There is a campus there, which has served the Confederate army in the past, then the fleet, and lastly the US Navy. The video shows changing images of house fronts, sections of streets, and stores. 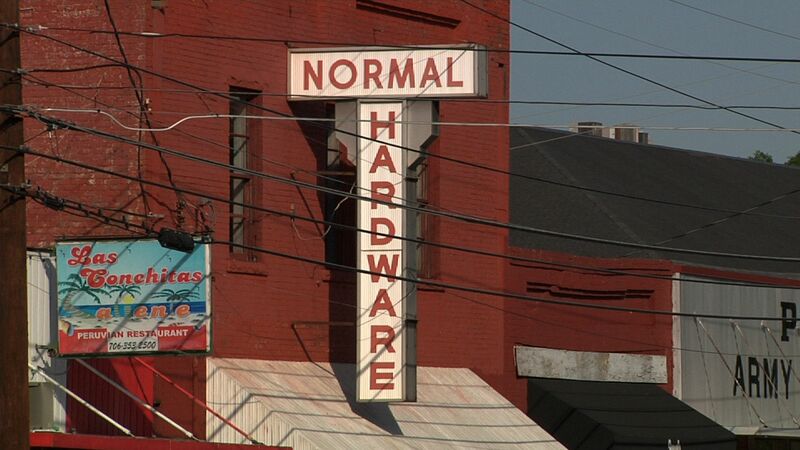 Many of the façades bear the word "Normal" in different combinations. 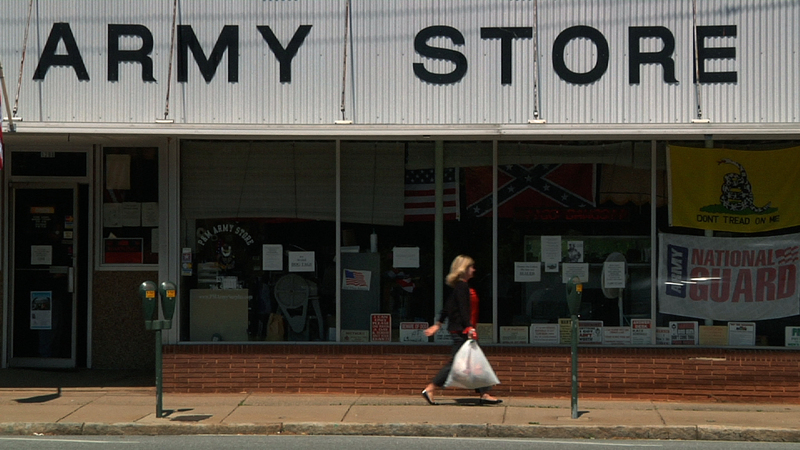 The video lingers on a store that has a Confederate flag in its window. In the background, voices of local women tell about their longings for the time when soldiers were present in the campus and the town. The oldest building on the campus is named after Winnie Davis, daughter of Jefferson Davis, the first and last President of the Confederacy. Winnie was nicknamed the First Daughter of the Confederacy, and the title has served as an inspiration to the founders of the women's organization "United Daughters of the Confederacy," several of whom are speaking in the video. In her work, Vital stresses visual and verbal codes embedded in the urban settings of Virginia and Georgia, repeating them over and over, in a manner that shows up the suppression of racism and the sense of supremacy prevalent in those areas, which at first glance seem like peaceful, spacious, pleasant public spaces. The presentation of the work at the Herzliya Artists' Residence - an opaque brown-brick building amidst a quiet, affluent suburban area, might evoke among local viewers an awareness of our region, associate the uncertainty and the irony in Vital's work with local events, and bring the suppression and the legitimizing of racism to the surface. Efrat Vital's solo show, Winnie (Real Daughter) (curator: ran Kasmi-Ilan) was on view at the Herzliya Artists' Residence Between January 6 and February 21, 2018.